The PlayStation Vita has completed four years in December 2015 since the official launch in Japan. Despite the small development compared to its predecessor, PSP, the PS Vita is also home to several titles that made the top of their owners. If you purchased the PS Vita from Sony recently or has since launch, but have not checked some of these titles, do not waste time and go enjoy them as we've compiled a list of top PS Vita Games for you to enjoy in the coming year. The sequence of "Nine Hours, Nine Persons, Nine Doors" of the Nintendo DS is a Japanese game full of adventure puzzles and a compelling story. Full of dialogues, the game puts the player in a situation where nine people are trapped in a strange base - each with a bracelet indicating a number. To escape, the prisoners must combine the scores of their bracelets to solve puzzles in what seems a strange version of Saw-style anime. No wonder that the Gravity Rush 2 announcement for the PlayStation 4 was made with fanfare by Sony. In the original game, released for the PlayStation Vita in 2012, players must help the heroine Kat regain her memory and save the planet from alien creatures attack. After several titles fail to bring a quality FPS to portable, Guerrilla Cambridge managed to successfully adapt the first-person experience to the small screen. In the game, the player assumes the role of a mercenary who can fight on both sides of the war between humans and Helghast. In addition to offering different points of view of the history of the series, Mercenary also has a gameplay needs and uses the capabilities of the Vita (such as the touch screen) intelligently. Who has prejudice to the indies games attached by being smaller does not know what you're missing. The rapid departures Rogue Legacy (originally released on PC) work much more interesting way in Vita. In the game, players play with the descendants of an ancient knight who must explore a cursed castle to retrieve the honor of his ancestors. Every death, the player takes control of a new downward with very different characteristics, such as nearsightedness or super strength - something that makes the game a very diverse experience. While the series was born on the PSP, Reload brings the first two major titles (Trigger Happy Havoc and Goodbye Despair) in a version with better graphics and other interesting bonuses. The two games (whose plots complement each other) provide a story that adds several mysteries and murders in a high school. Besides investigating the incident, players also need to try suspects in intense courts that will delight all fans of Phoenix Wright. One of the games that were present at the launch of the console, Golden Abyss tells the story of one of the first adventures of Nathan Drake. Set in Panama, the game recreates the classic experience of the franchise while it also makes use of the unique features of the portable, as its rear touchpad. While Persona 4 was originally released by Atlus for the PlayStation 2, the Vita version brings significant improvements over the original game - including a new unique end to the handheld. In RPG, the player must help a group of teenagers to look after not only their academic and personal lives, but also to investigate a serial killer who is acting in your city. Media Molecule is responsible for some of the most interesting exclusives from Sony. 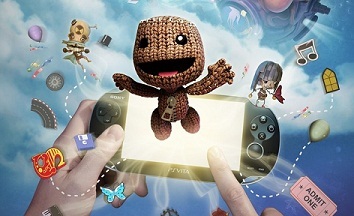 In Vita, all possibility of creating and customizing the LittleBigPlanet series has been expanded with the addition of console features such as the integrated camera. At the same time, motion sensors and other equipment controls are also used in a very clever way to bring more entertainment. After the LittleBigPlanet experience, Media Molecule also took the opportunity to debut a new platform franchise that takes advantage of all portable features in design phases. With a history full of charming characters, in the game, the player must help an origami messenger to explore a world of paper to deliver a letter to the player himself.